No hearts, flowers or other obvious concepts for "love"
No pics of brains or other obvious concepts for "psycho" or "psychological"
I would like a high quality text/graphic logo. Along with the logo for the main site [login to view URL] , I will also have a section of the site that will provide online courses. That component is called "Don't Date A Psycho University." 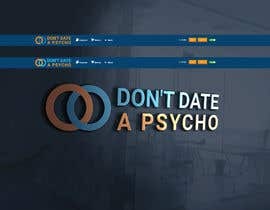 The winner of this current contest will be in a favorable position to be hired to create the logo for Don't Date A Psycho University in the coming weeks. The budget for this project is $200 USD. Only designers who can perform the work as outlined here and who can work with this specific budget need apply. Some of the designers have asked for further clarification as to what my website is about. The site is not strictly a dating site, although it will have a component of it that helps members find partners. The main theme of the site is that it is a "relationship site," a site designed to help members have better relationships, regardless of whether they find partners on our site or on any other site. My site helps them to understand themselves and their partners better, and helps them to have healthier, long-term relationships. The site will offer online courses, webinars and podcasts, in addition to articles and blogs, all of which are designed to help people have healthy, long-term relationships. Hello Sir, Please check on my sample on the landing page #259 Sir, would love to see your feedback, Thanks! Please check my idea for your logo, entry # 262,263,264.
and please let me know what you think about it . Hi, please check #255 and your private messages to see the reasoning behind my design - you can do that by clicking on my name, thanks! hope you could check my entry sir. Hello sir. It's realy hard to clearly understand what this site about.Can you tell in short some examples of what this is about. I've explored your web and stil can't clearly understand...hope you tell us what is it and we can create an A-class logo for you. Have a look at my only one #sealed entry #66 !!! Hope you really like it.I'm waiting for your feedback. Thank you!